As a girly girl I think Santa's workshop is bound to be full to the brim with lots of Hello Kitty's!! 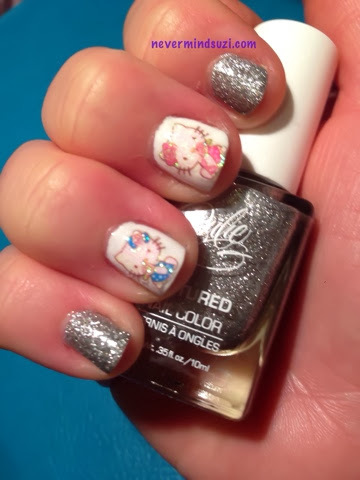 I've used the lovely Silver Bells from the Julie G Holiday Gumdrop Collection (check out my giveaway here for the chance to win the full set). What toys would you like for Christmas?